Beauty and the Bamboo is a full service bamboo plant nursery located in Greenwood, just north of Ballard in Seattle Washington. We are a well organized, home based, retail outlet that offers discount pricing on all common and rare clumping and running varieties of bamboo. Open to the public from sun up to sun down 7-days a week by appointment. We are certified, licensed, bonded, and insured, serving the Greater Pacific Northwest since 1992. Come visit our bamboo garden and nursery to see our bamboo plant and root barrier installation displays. We will help educate you about bamboo. Let us deliver, unload, trench, install root barrier, and plant bamboo for you! We also extract and thin bamboo groves. We offer on site consultations followed up with a free written work estimate. For a small fee we will deliver your purchased bamboo plants to your work site same day. Call 206-781-9790 or email us at bambu501@aol.com to schedule your preferred appointment time. We ship orders $500.00 and larger anywhere in the United States. Please call for plant pricing and availability. 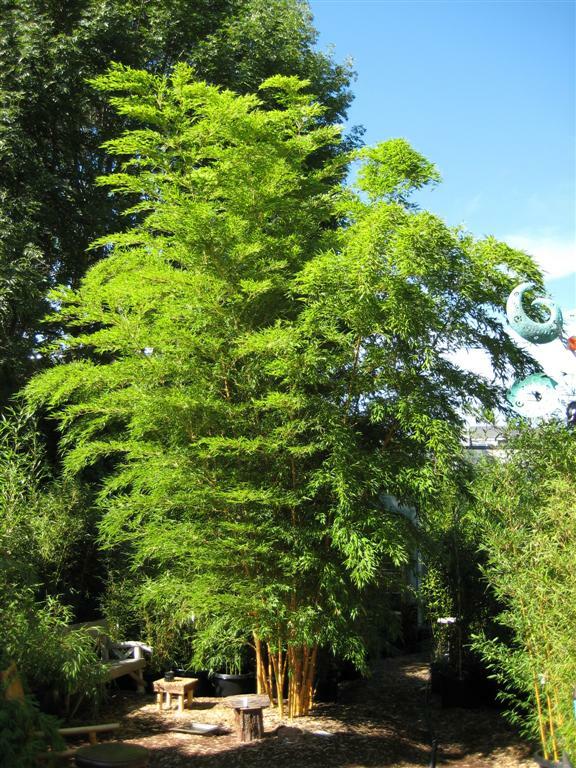 You can grow bamboo successfully in Seattle! We have all the tools and supplies you need to plant, contain, and care for your bamboo. Call and visit our nursery today. You'll be glad you did.